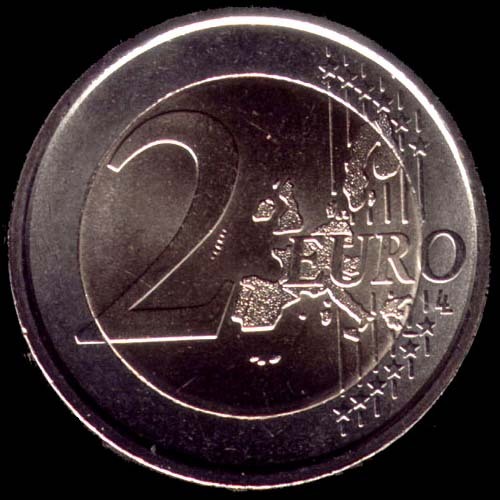 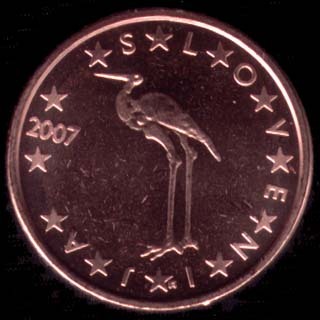 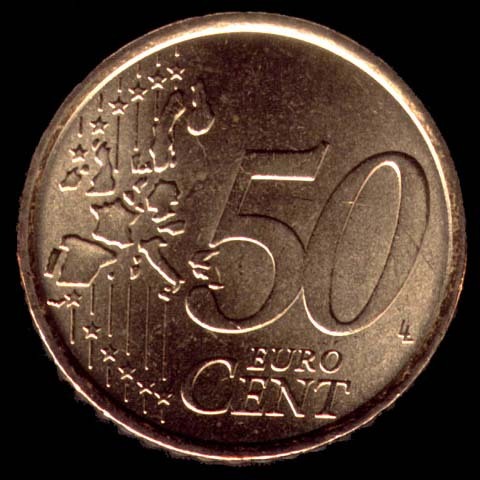 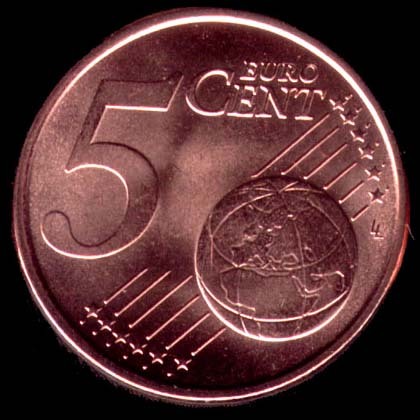 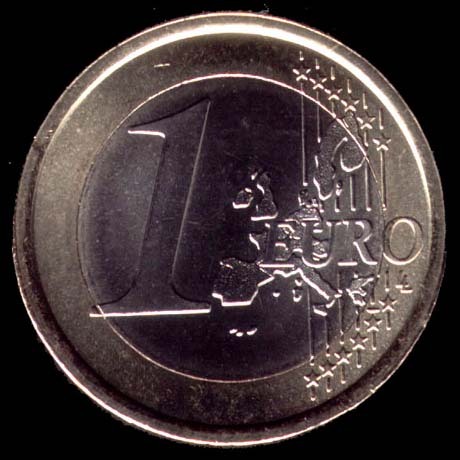 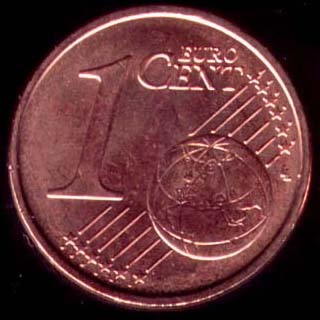 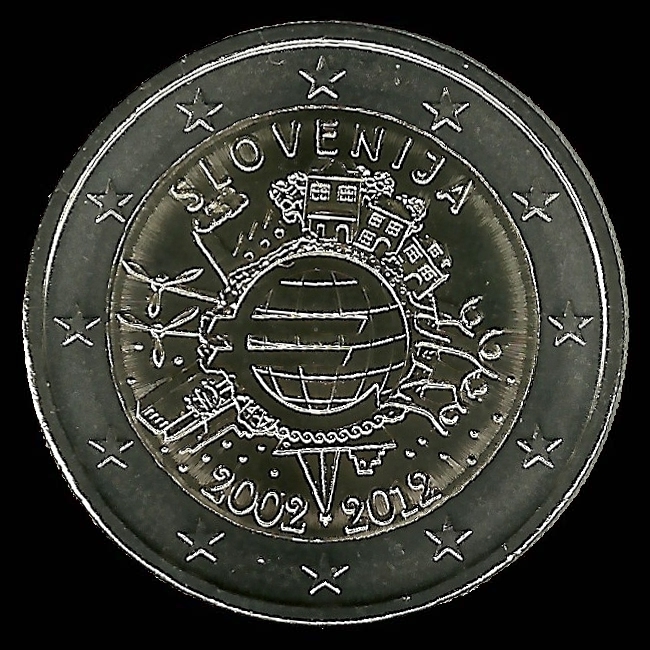 Slovenia is part of the European Union since May 2004, followed by the introduction of the euro in Slovenia in January 2007 replacing the previous currency, the Slovenian tolar (SIT), with an exchange rate of 1 EUR = 239.640 SIT. 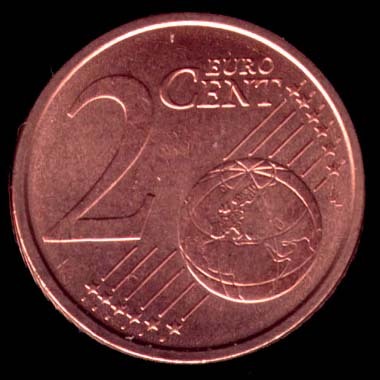 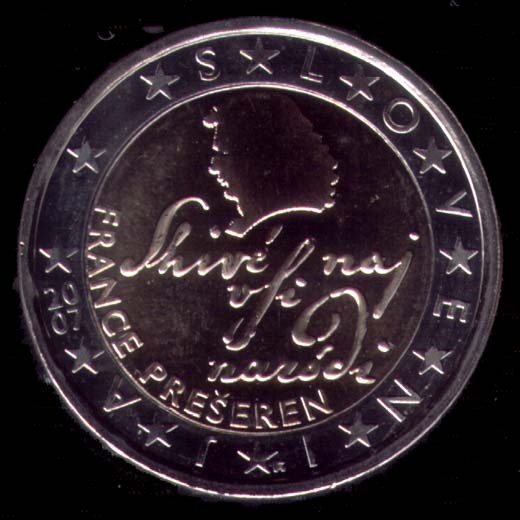 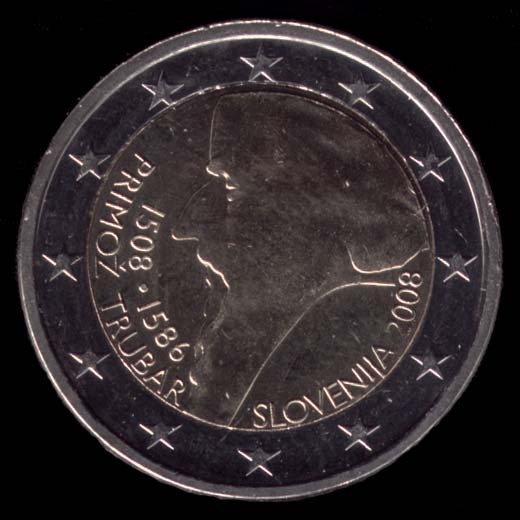 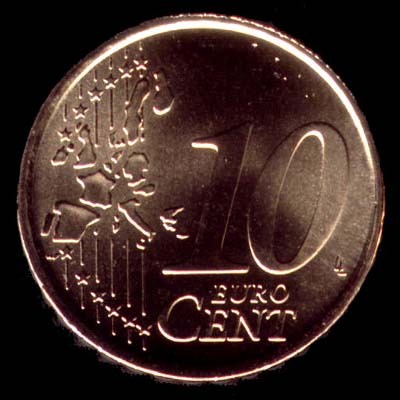 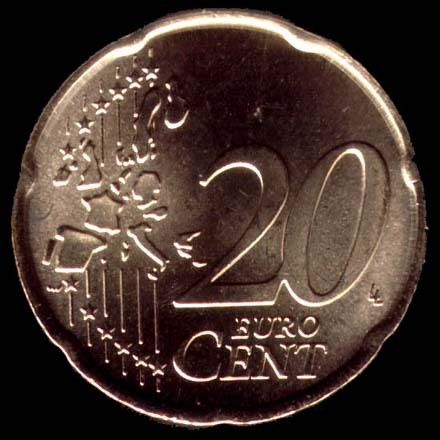 2 euro: portrait of the Slovenian poet France Prešeren, with the beginning of the Slovenian national anthem "Živé naj vsi narodi" (Long live all the peoples). 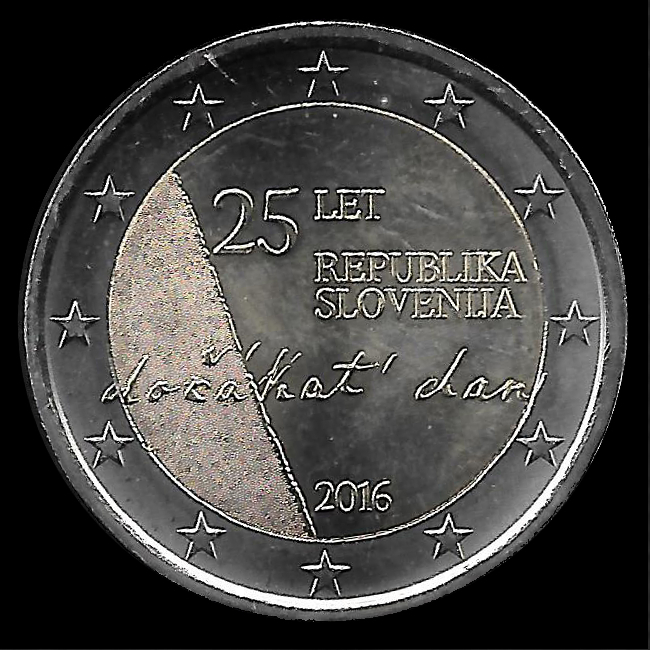 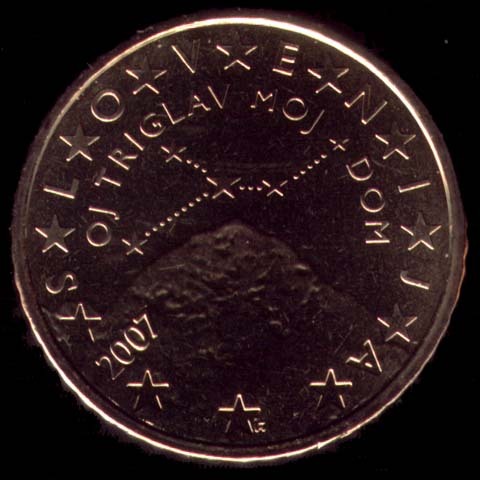 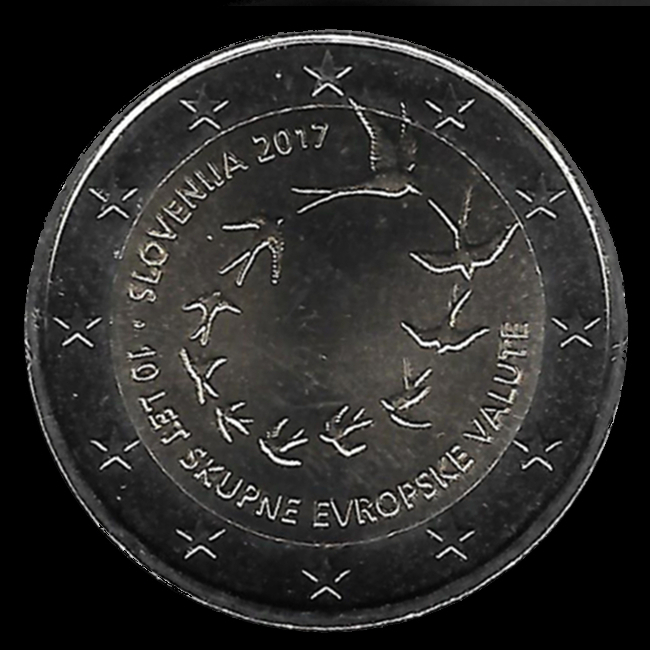 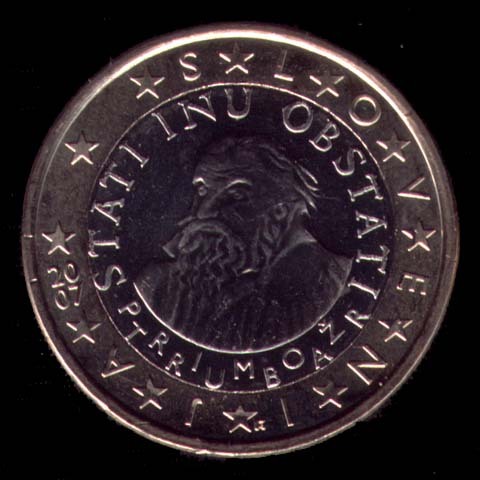 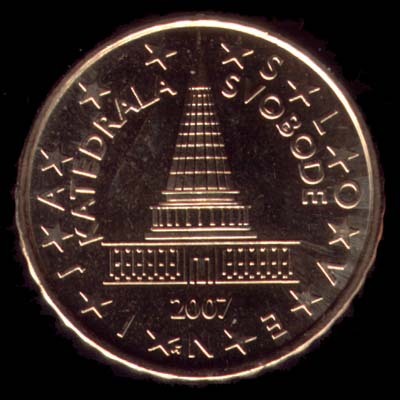 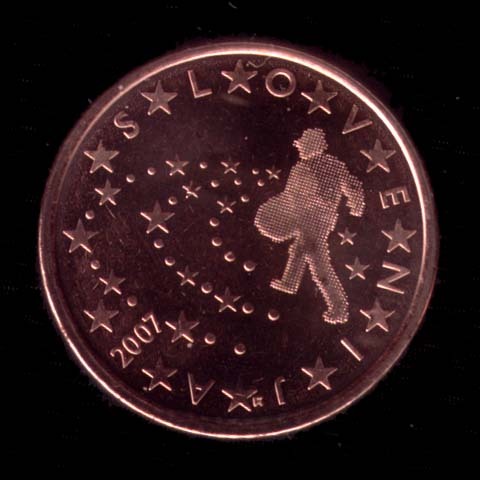 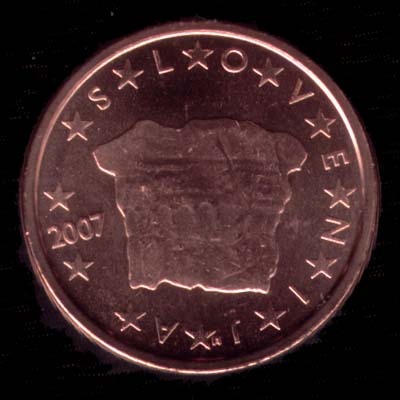 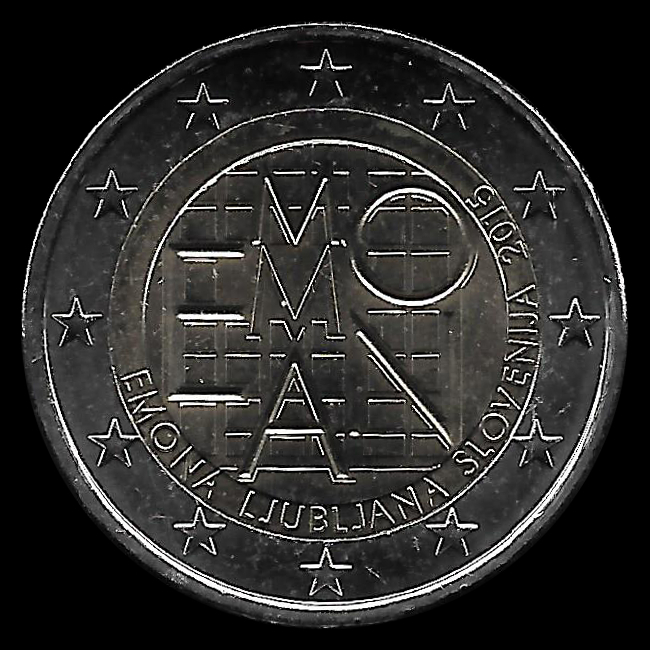 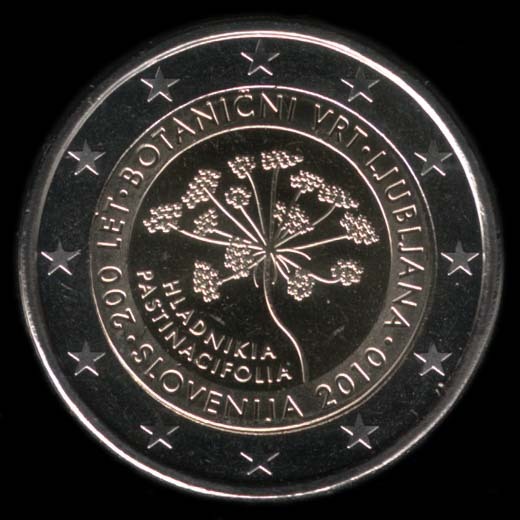 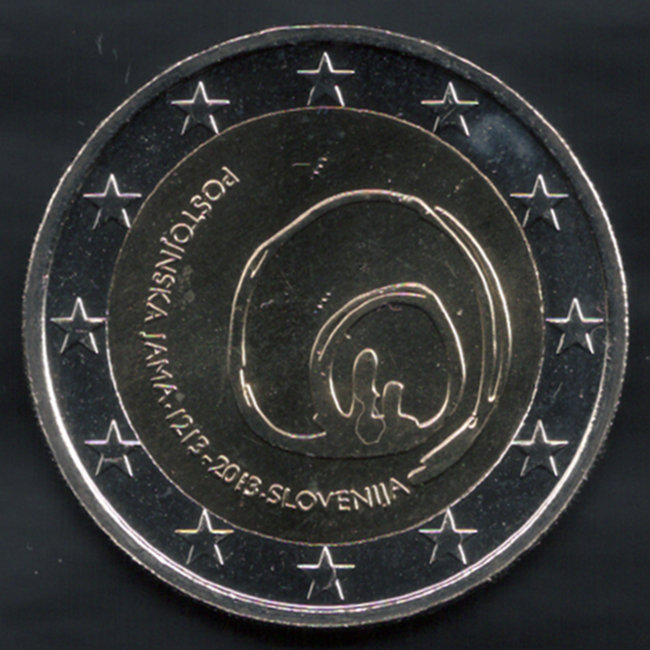 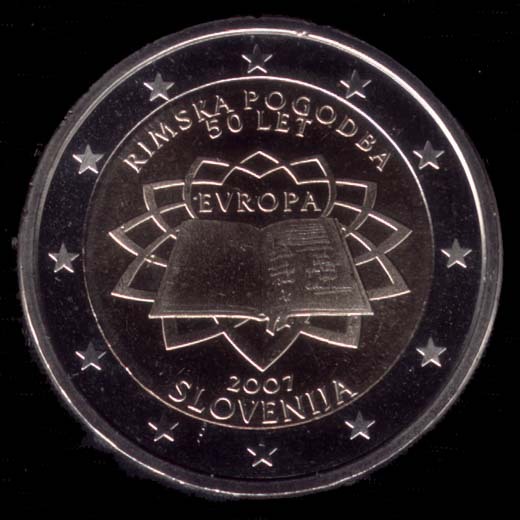 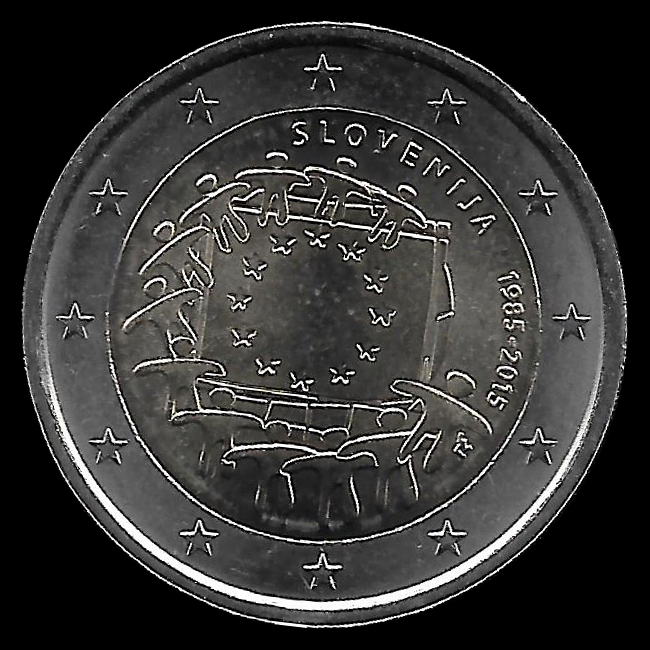 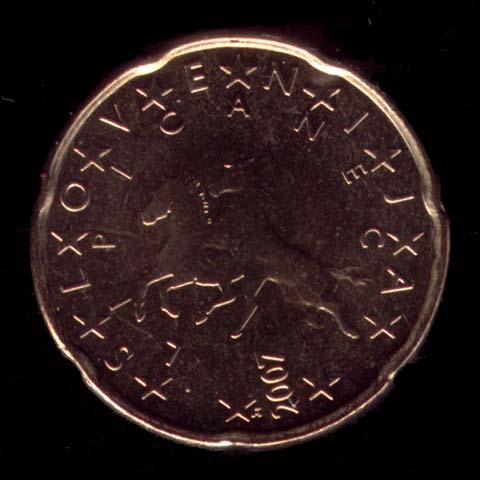 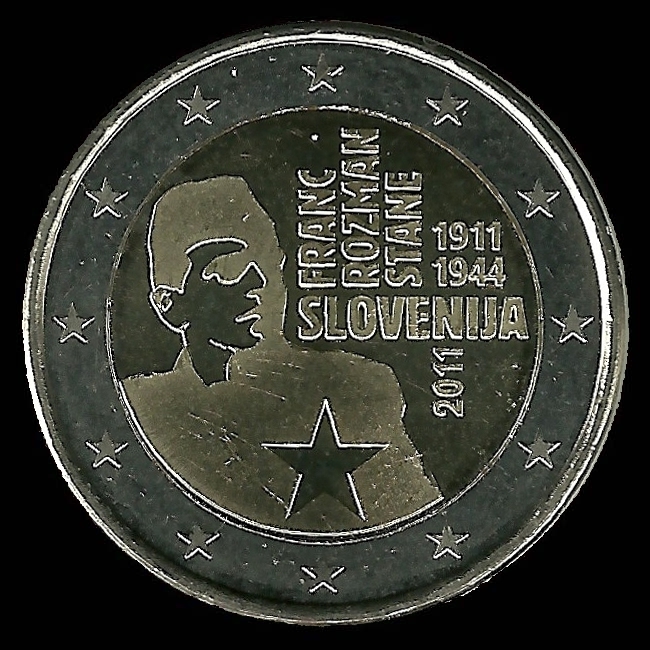 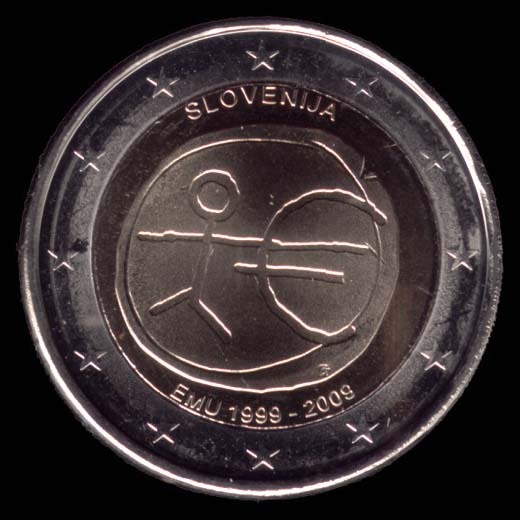 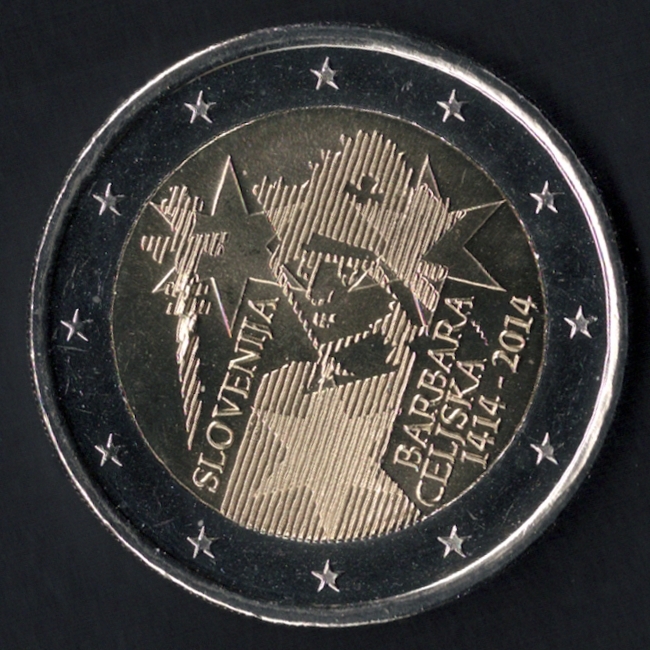 All Slovenian euro coins show the twelve stars of the European Union, the minting year and the inscription Slovenia (SLOVENIA).